Another One Piece volume, another escapade courtesy of the Whole Cake Island saga. As confirmed previously, no, Volume 89 doesn’t conclude Big Mom’s Straw Hat pursuit, but fret not: not only do things actually happen, said chase is finally winding down. The One Piece fan’s mileage on this arc varies, but at this stage in serialization I could already hear a collective sigh of relief joining my own. At the risk of breeding repetition, I easily dismiss Whole Cake Island as one of One Piece‘s weaker arcs, with numerous series gaffes in information/character overload and a protracted, never-ending climax exhausting our engagement. 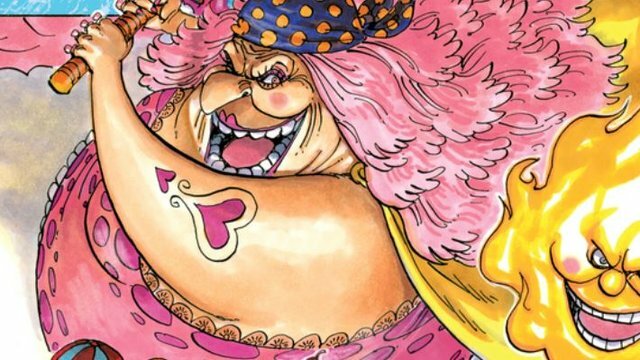 These problems have been frequent criticisms of One Piece’s post-timeskip adventures — perhaps even before — but Whole Cake’s ever-growing Charlotte family tree and three-volume chase balloons them to dreadful levels resembling hyperbolic fan parody. Still, to Eiichiro Oda’s credit, I can hardly express the sobering reservations I had with Volume 88 as I do for No. 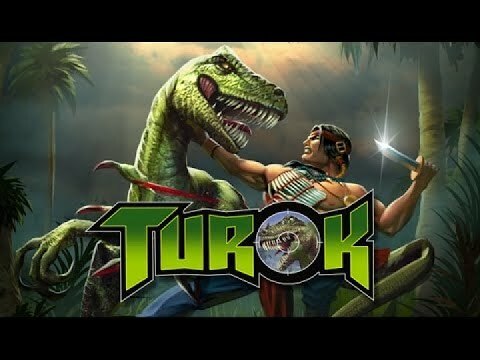 89, for again, we bear witness to actual progress; namely, a villain is toppled, character arcs and relationships are resolved, and yes, a cake is finished and finally devoured. That this volume ends with a ghastly cliff-hanger will likely frustrate the unsuspecting reader, but when propped by actual momentum, said cliffhanger has us in its clutches for Volume 70. 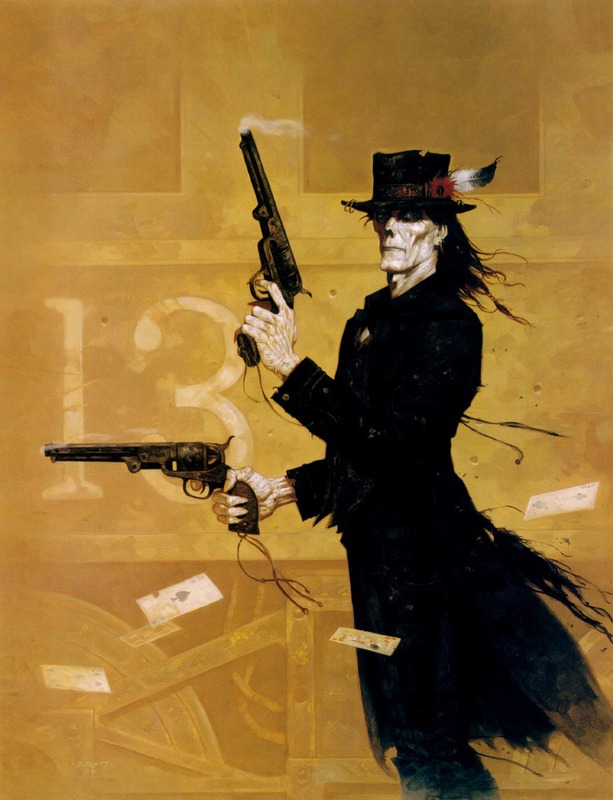 For both the Jump-abstaining reader coasting along volume releases and the long-time fan merely revisiting the arc, that we only have three remaining chapters within the next volume is a welcome fatigue-easing remedy. 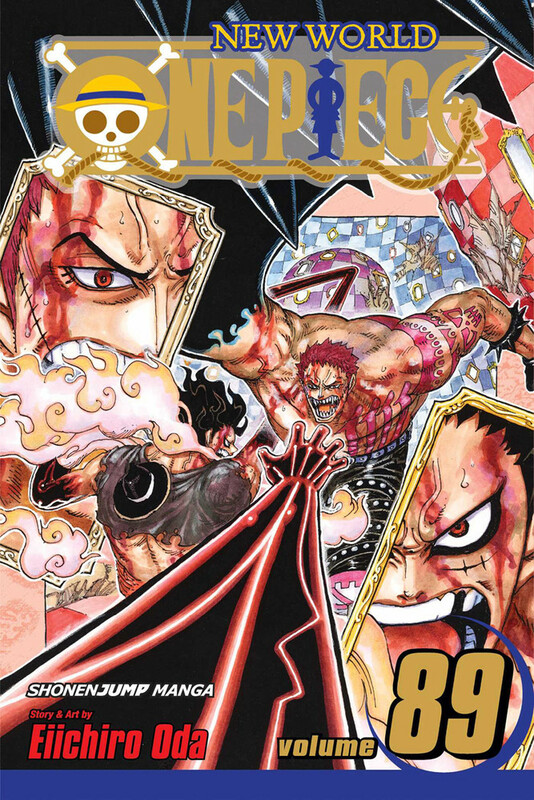 Charlotte Katakuri carries this volume. It’s a shame Whole Cake’s bogged down by its weighty cast, given how riveting its star players are. 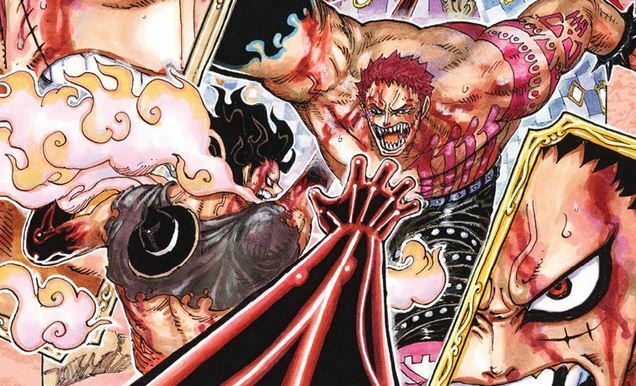 With Big Mom’s ravenous state eliminating any and all rational thought, Charlotte Katakuri takes the reigns as the sentient antagonist and Luffy’s foil. Not that I wasn’t already on-board following last volume’s one superb element — the reveal behind his, um, “physical deformity” — but even as I grew a tad tired of the “Luffy takes a massive beating only to miraculously get up” routine, the developments following Flampe’s interference unveil the rare honorable figure within One Piece‘s ranks of pirate antagonists. (Enough to remind me of the various “justices” operating within the Marines, even.) With Big Mom already staging a comeback in the upcoming Wano arc, he’s the one family member whose return I eagerly await. Meanwhile, as Sanji frantically wishes ambivalent goodbyes to his hated family, we’re left to ponder if “The Year of Sanji” — or should we say, “The Two Years of Sanji” — delivered on its promises. I admit I’m at a crossroads here: while Sanji’s development remains one of Whole Cake’s few redeeming qualities. I owe that more to his dysfunctional relationship with Pudding rather than North Blue’s mythical army in Germa 66. Be it their roles within Sanji’s backstory lazily recycling Nico Robin’s tormentors or simply me struggling in differentiating Ichiji and Niji, that they battled for Whole Cake’s screen-time with Big Mom’s family, Homies, Fish-Man pirates and wedding guests only further contributed to sloppy chaos. But as we’ll certainly see them again, we must make do with Judge’s futile interrogation only playing into Luffy’s humble requirements for friendship. Their potential will come, but it cannot flourish within unrestrained imagination. And what, exactly, do I mean by that? 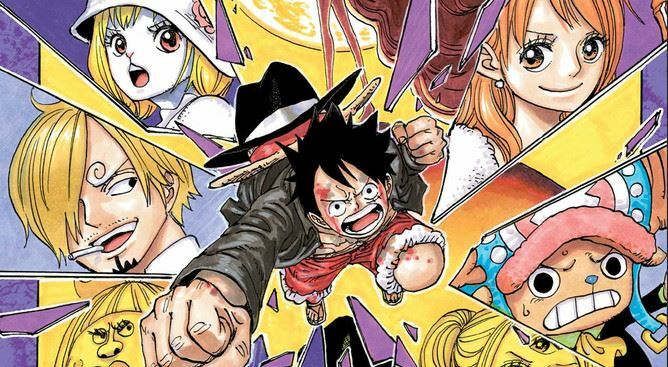 Putting it this way: to claim Whole Cake Island has soured me on my favorite manga would be incorrect — I’m not about to deny the repercussions and influence it’ll have on future arcs, and the instant rejuvenation found within the following Reverie proves Oda’s mutual desire to move on. (An enthusiasm further evident in extraordinarily well-paced Wano arc.) But in itself, it remains a stunning showcase of his worst habits: a slow-motion explosion of creativity and ideas distracting both story and reader. His best ingredients come through, but to my tastes, Whole Cake will never not be overbaked.